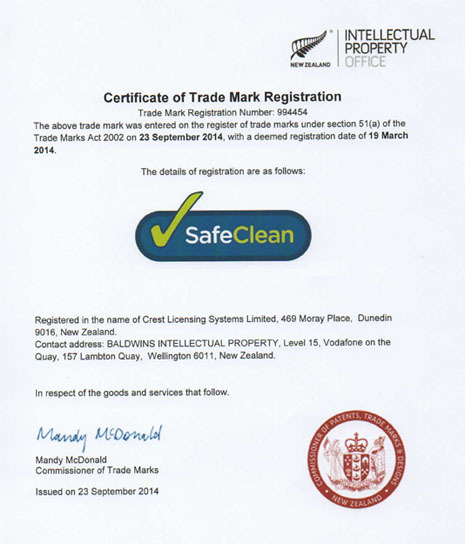 SafeClean’s systems have received official trademark registration. CrestClean’s Health, Safety and Environmental Management System, SafeClean, has received trademark approval. New Zealand’s Intellectual Property Office issued the trademark registration on 23 September 2014, after a six month period during which notice of the trademark is advertised and any objections to it can be filed. CrestClean decided to trademark SafeClean because the brand linked the terms “safety” and “cleaning.” SafeClean is like a “shop in a box”, as it standardises common basics into a system, but also allows us to customise health and safety programmes for the particular requirements of our customers. 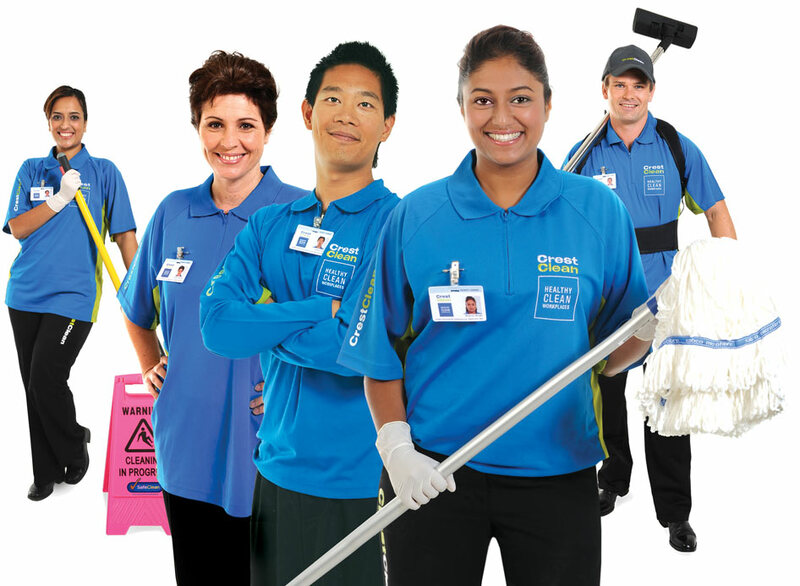 SafeClean is registered as an occupational health and safety service. Once a trademark is registered, the ® may be used in conjunction with the logo or in any reference to it. 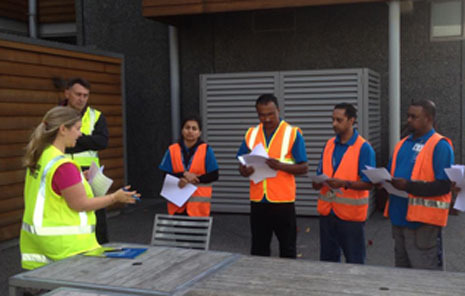 No other New Zealand businesses can use the SafeClean name in relation to health and safety services. CrestClean also owns the web domain www.safeclean.co.nz. All of CrestClean’s main logos and graphic devices are trademarked, including the word “CrestClean,” in New Zealand and several other countries including Australia, Singapore, United Arab Emirates, India, Malaysia and China. CrestClean can now promote SafeClean® as a unique and innovative health and safety system, which ensures the cleaning activities conducted at customers’ premises are carried out in a safe and less hazardous manner, protecting not only our own personnel, but our customers and the public.